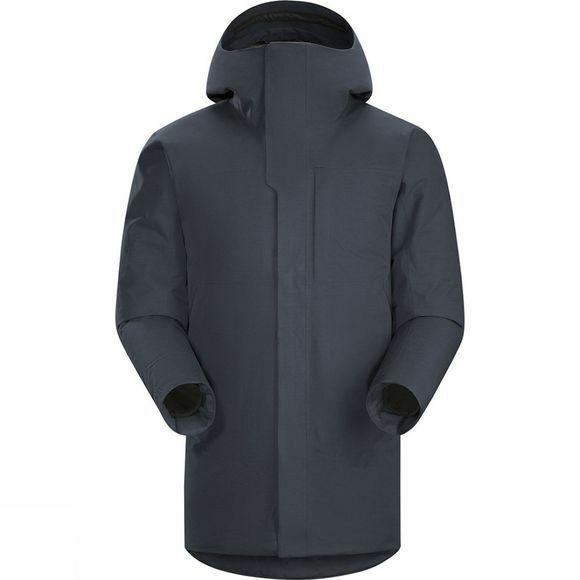 Winter won’t stand a chance against the Arc’teryx Therme Parka. A combination of Coreloft Compact synthetic insulation and high quality European goose down is packed inside a waterproof, breathable Gore-Tex shell, giving you the very best when it comes to warmth and weather protection. The insulation is mapped to your body, giving you extra breathability where you need it most, while cutting down on bulk for a neat, stylish fit. A great range of travel friendly features compliments the jacket’s sleek urban look, making this the ideal city companion on those cold, wet commutes.